Producers Lunice and The Alchemist link up for a very unexpected collaborative EP titled 'Moving parts', made specifically for the last Red Bull ..
Lunice teams up with director Sam Rolfes for the visuals of "Distrust"
Still riding the ripple effects of his Denzel Curry assisted sophomore single "Distrust", Lunice wastes little time and hit us up with the visuals. ..
After dropping the dark, off the cuff single "Maserati" a few weeks ago, Lunice is back in the forefront with another jam titled "Distrust". ..
Lunice drops first single in years, "Mazerati"
If Lunice is a name that you think you know, but can't place it, you're probably not alone. The producer has been silent for a few years, .. Photos courtesy of Karel Chaldek Machinedrum, otherwise known as Travis Stewart, is an excellent producer who just released a new 15 track .. Photos courtesy of Karel Chaldek Red Bull Music Academy starts its adventure for the 18th anniversary in a creative area of Montreal. The entire .. The Montreal born producer and beat slayer known as Lunice is keeping his mind sharp. If any artist could capture the creative force it's ..
Canadian producer/DJ Lunice is best known for bridging the gap between Southern hip-hop and electronic music with his groundbreaking TNGHT ..
Cashmere Cat, Ludacris, Jeremih, and Wiz Khalifa, all teamed up last year to create the "Barbie Girl" sampling "Party Girls" track, and it was a kick ..
We still haven't heard that much material from superstar trap duo TNGHT, comprised of Warp / G.O.O.D. Music's Hudson Mohawke and LuckyMe's Lunice. ..
As much as I dig all of the great music from my local Edmonton scene, I envy Montreal and their thriving trap scene. 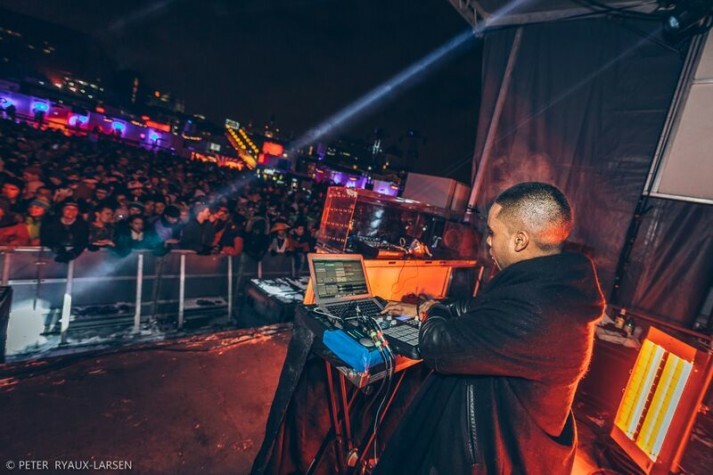 With players like Soulection's ..
Lunice drops new brooding trap cut, "Can't Wait To"
Montreal-based trap lord Lunice is back, the exciting news revealed by a new track, "Can't Wait To," on the soundcloud page for TNGHT, the duo he formed ..